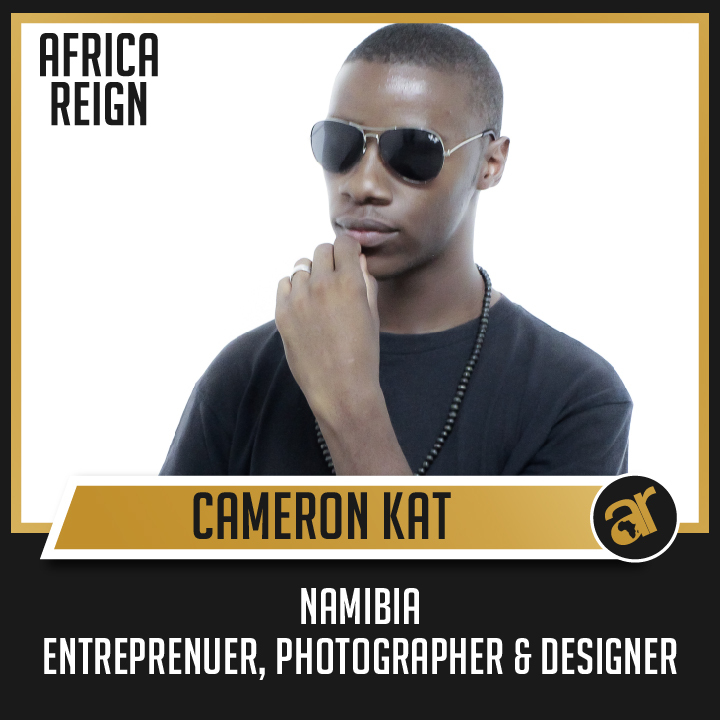 Hailing from Windhoek, Namibia Cameron Kat is a youngster who is always pushing boundaries and as such started his own Marketing and Design company in 2014. His company focused predominantly in logo design, graphic design for print and brand activation. As a young African who is always thinking better and bigger, he started another company called Krazz International which also incorporated apparel, media and business to the already existing services offered. I was born and bred here in Africa to me it is more than just my home but, a place that influences many of my choices. Not that the western education I received does not effect me, rather it helps me appreciate the raw wisdom passed, to us by generations of man who have come and gone. First on the list of his beliefs, Cameron believes that as a people we have the ability to invent and become innovative and he hopes that we do so and we stop outsourcing our African resources. The Reign at large to me, means a land of opportunity and most of all a place where, the birth of modern day creativity is brewed. Africa takes on the role of a mother in my heart, one who loved her offspring and offers comfort in times of joy and sorrow. To build on the African Dream, we need to understand it first. So what is it, this dream? the dream of developing Africa and industrializing it but allowing us to make a mark. That is my African Dream, How we as youth can help build on it? i strongly believe we need to educate our self. Cameron believes that as the African youth we are motivated enough to help develop Africa. This motivation dates back to our days in Primary school when we were taught that we are the leaders of tomorrow. Social Media has become a great driving forces behind borderless communication between the African Youth. As an Entrepreneur Cameron knows that he cannot develop Africa by himself, he is however aware of the power he has to help by giving his time and to help educate the future leaders and youngsters of the Continent.